*Environmentally friendly process for nanoparticles. *No chemicals are needed, except water and iron plate. *Magnetite nanoparticles are promising for use as electrocatalyst. 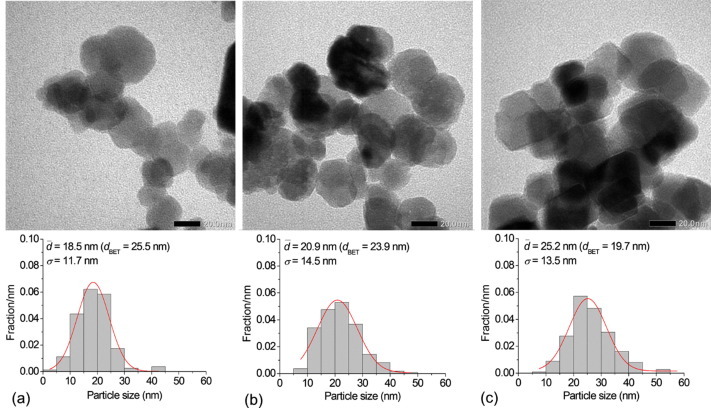 TEM images of magnetite particles prepared at an initial pH of 7 using the alternating monopolar (AM) arrangement at a voltage of (a) 20 V, (b) 25 V and (c) 30 V.